THE HOOK: Chess with exploding penguins. THE WORLD: A surprisingly moral trifecta of Human World, hell (Netherworld) and heaven (Celestia), but told from the Netherworld's point of view, as the demons go about their business of keeping humans on the correct moral path by scaring them straight. We usually see this from the point of view of an ambitious demon, murderously trying to become Overlord of the Netherworld. Later games in the series take the same set-up and move it to different dimensions, allowing the stories to exist independantly... Until the inevitable obliteration of the fourth wall brings past favouites flooding back in on hilariously flimsy premises, such as Laharl, the hero from the first game who keeps invading later games due to his inability to accept second billing. GAMEPLAY: You deploy your forces, which have their own quirks and advantages, and proceed to beat the tar out of the opposing force. Gameplay is complicated by "Geo Effects", coloured panels which link with symbols to strengthen and weaken characters in certain parts of the map. Eliminating them in the correct order causes epilepsy-inducing visual effects, as well as granting bonuses. SERIES: Four and counting, plus a few updates, remakes and spinoffs, which serve to make the already convoluted crossovers even more mindbending. HIGHLIGHTS: "Disgaea 4: A Promise Unforgotten" (PS3) - yup, it's a corker. With a story that snowballs out of control to a ridiculous extent and all the visual bells and whistles that the PS3 can conjure, plus the capsule nature of the games, there's no reason not to leap in at what is essentially the end so far. Plus the humour has been sharpened to a deadly point and you can learn a surprising amount about sardines. LOWLIGHTS: "Disgaea 3: Absence of Justice" (PS3) - this one was a real slog for me, and I say that as someone who had 100+ hour playthroughs of all of the other games in the series. The whole thing was also too emo; consider that I've just praised the fourth game, in which a vampire refuses to drink blood due to a promise he made to a dying woman, and you may appreciate exactly how emo we are talking. 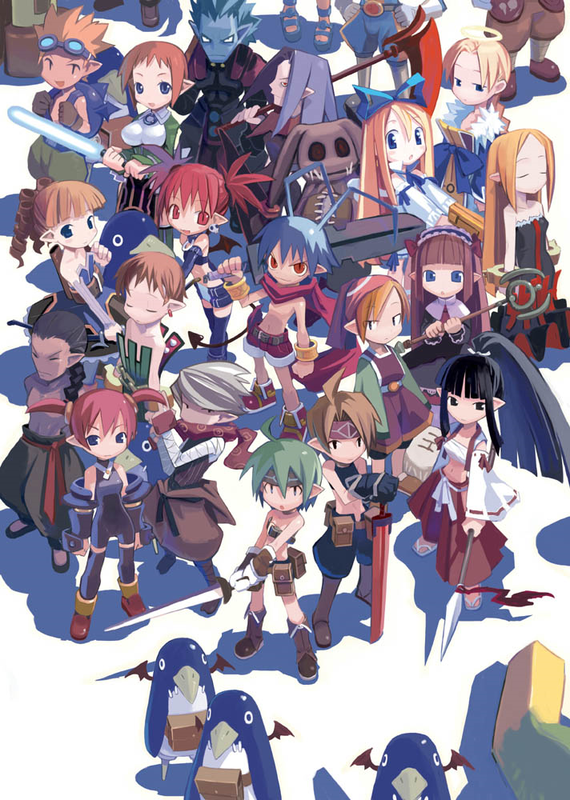 IF YOU LIKE IT: Final Fantasy Tactics ploughs a similar furrow, albeit in a relatively po-faced manner, and most of the rest of Nippon Ichi's output represent slight spins on the same genre.